“We are committed to real power-sharing; power sharing is about creating the common ground wherein we can collectively challenge the scourge of sectarianism that has divided our people, grow the economy, build new communities and deliver public services that meet the needs of all our people. 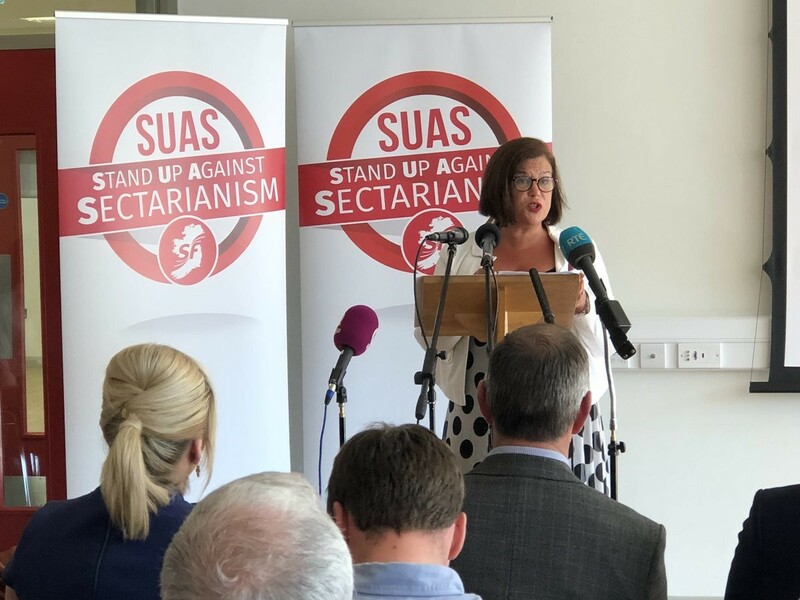 The Sinn Féin Leader was speaking at the launch of the party's new policy document on eradicating sectarianism in Belfast today. The One Community document was launched this morning in the Houben Centre in North Belfast. Speaking at the launch, Mary Lou McDonald insisted that she wants to see the Assembly up and running and delivering for everyone. “Sinn Féin entered and operated the institutions in the north because they are in the best interest of all our people. “He resigned because those institutions were undermined by disrespect and tainted by scandal. “But let me be clear - Sinn Féin is up for a deal," she said. The Sinn Féin President also said she looks forward to working with the DUP in the future. “We want the Executive and Assembly up and running. I look forward to working with the DUP and with the other parties in the North," she said. Recently elected unionist Senator, Ian Marshall, also spoke at the policy launch in Belfast today. 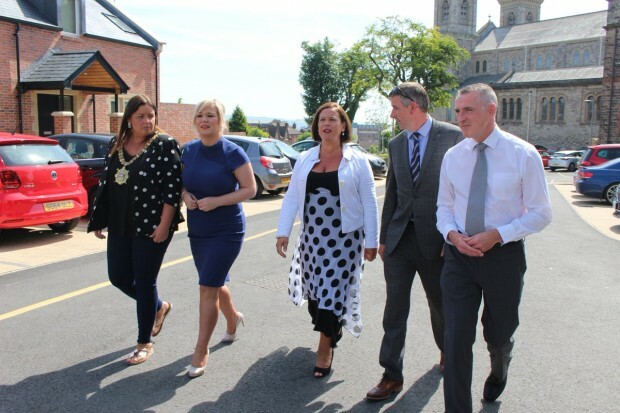 Meanwhile, Mary Lou McDonald also welcomed the attendance of DUP leader Arlene Foster at the Ulster Final in Clones on Sunday.